The ECOSYS P3050DN printer provides all the productivity and performance that the company needs. It is a monochrome table printer with a speed of 52 ppm, which gathers standard features and options to improve your productivity in a compact equipment. 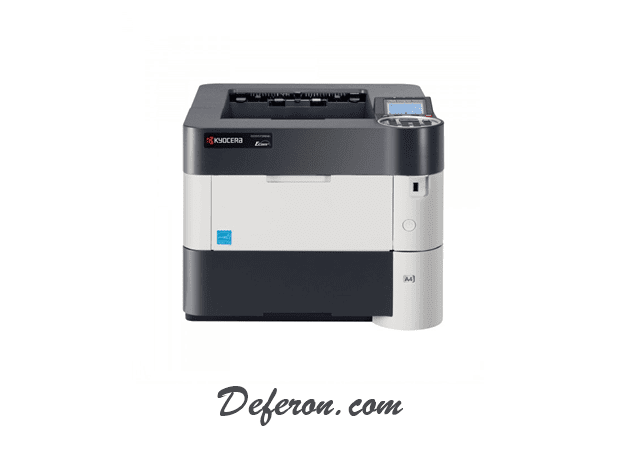 Product Information "Kyocera ECOSYS P3050DN-b/w laser printer"
Thus teamwork gets a whole new character: The ECOSYS P3050dn integrates perfectly into your network. A wide range of interfaces, integrated cost center management and the highest level of performance are Qualified for use in small and medium-sized working groups. Up to 50 pages per minute in outstanding 1,200 dpi resolution do not only fix, but also look good. Up to 6 paper feeders allow flexible paper processing with a wide range of paper sizes and media for formats from A6 to A4 and grammages to 220 g/m2. The proven ECOSYS technology ensures low consumption costs and thanks to long-life components – e.g. the high-performance photoconductor drum with a running capacity of up to 500,000 pages – for less waste. With Kyocera Mobile print, you can connect iOS/Android-Tablets and smartphones directly to a Kyocera system. Direct printing of documents, Web pages, and mail attachments are supported as well as the scanning of a multifunctional. Numerous functions of the Kyocera systems can be used, such as a double-sided printout, a choice between color and SW, stapling or punching. For increased security and cost transparency, the integrated cost-and user login functions of the Kyocera systems are available. The application uses the existing LAN without a detour via an Internet server and without a cloud.